One of Melbourne’s leading local brewers and a favourite among locals, Moon Dog Brewery & Bar is in a somewhat (understatement of the year) odd location. 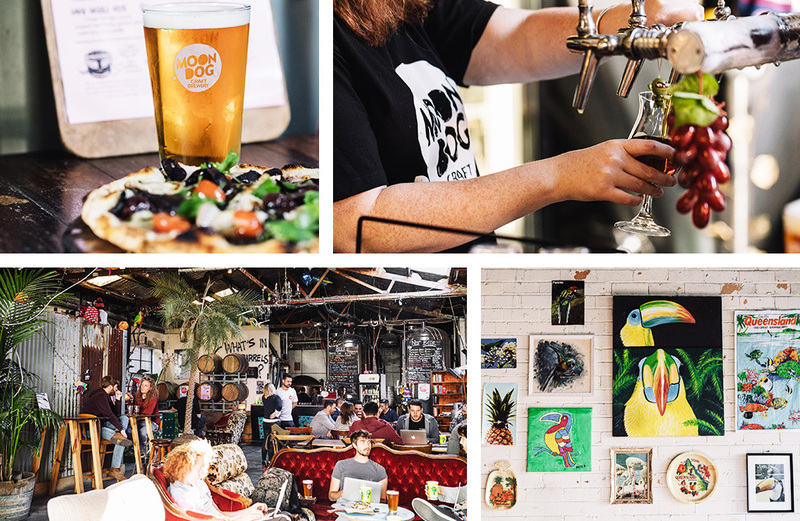 Wedged between industrial buildings and a couple of shonkier looking spots, if you persist (for beer, of course), you’ll be rewarded with a homely brewery, bar and pizza van rolled into one endearingly quirky space. Everything at Coffee Supreme is roasted daily, using the tried-and-proved Probat purchased in the ‘80s. As you can imagine, coffee is the hero here with a handful of fresh pastries and a simple menu to complement the morning rush. 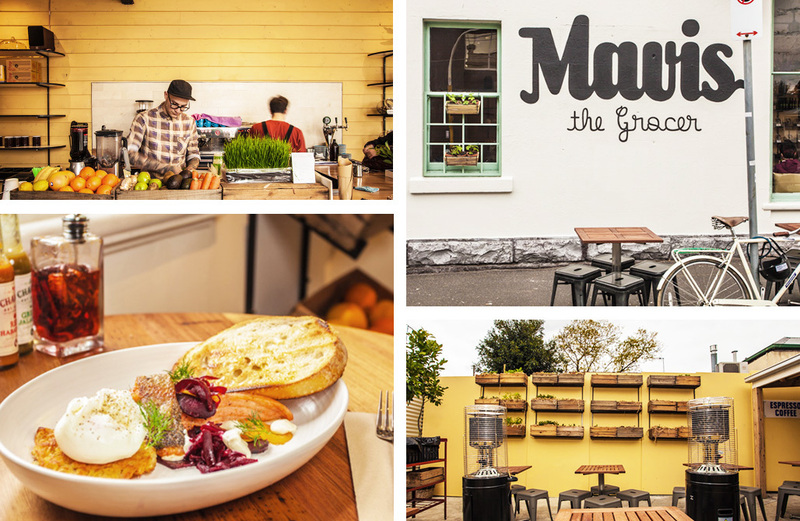 A contemporary take on the old-school milk bars of your childhood, Mavis The Grocer is a greengrocer-café hybrid. Come for Sunday brunch and brushing off your weekly shopping. Take-home meals are also available, if you’re more of a microwave gal than a stovetop chef. Arguably Melbourne’s most ambitious café, AU79 boasts over 200 seats and holds enough greenery that they require their own gardener (yes, seriously). Everything that can be made in-house is made in-house, from the daily made bread to coffee roastery, patisserie and butter and preserves. They’re pretty serious about food. LOTT Studio’s focus on sustainability and small-scale, hand-made production has attracted a dedicated following. The duo co-owners focus on small drops throughout the year, rather than seasonal lines. You can also custom order from their Abbotsford studio, and see the work in action. Striking a balance between two extremes, you can eat as healthy (or unhealthy) as you like at Kitty Burns. Winter salads and turmeric cashew cheese “lasagne” sits besides brioche French toast and popcorn chilli chicken waffles. Tucked into the heart of the Collingwood Children’s Farm, The Farm Café is a rustic haven away from concrete jungles. On the menu you’ll find towering cakes, fresh juices, brunch staples and classics including scones with jam ‘n’ cream. Off the main part of Victoria Street, Jinda Thai is easily one of the best Thai restaurants in Melbourne (and definitely one of the most affordable). It’s best to book in advance, since locals flock to devour spice-packed curries, smoky wok-fried noodles and fragrant boat noodle soups. An all-day venue, Dr Morse is a brunch spot, takeaway window and bar rolled into one. The breakfast and all-day menu features Asian-inspired dishes, from the chilli sambal scrambed eggs to panko crumbed eggs with crispy roti. Melbourne’s first dedicated bouldering gym, Lactic Factory caters to newbies up to professionals. The walls are up to 3.8 metres, with inclines from gentle 10-degree overhands to 60-degrees (aka, basically upside down). And if you've got a moment's time to kill, check out the Pace Of Abbotsford display suite, 358 Johnston Street, Abbotsford. Dream home much?! Image credit: Griffin Simm, Nick West for The Urban List. Editor's note: This article is proudly sponsored by Pace Of Abbotsford and endorsed by The Urban List. Thank you for supporting the sponsors who make The Urban List possible. Click here for more information on our editorial policy.